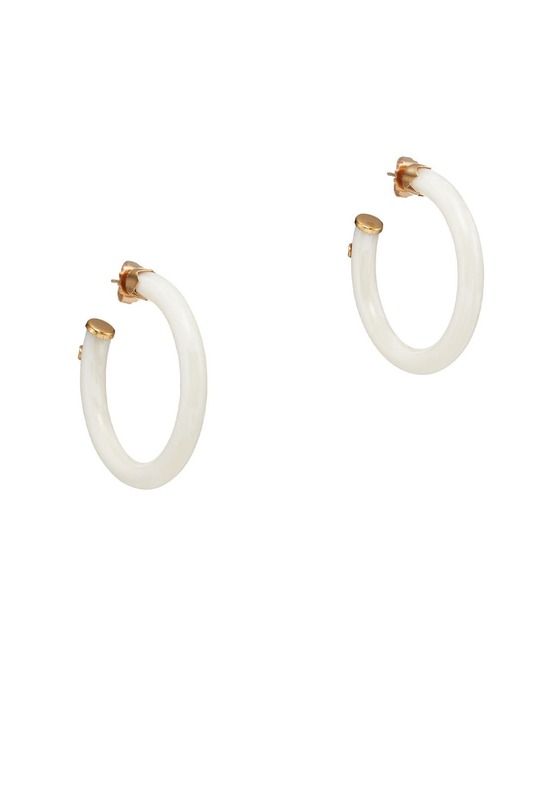 A modern take on a classic, these Gas Bijoux hoops are perfect for everyday outfits. 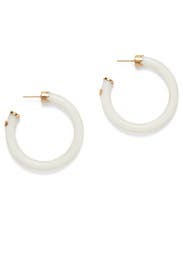 White resin hoops with 24K gold plated accents. Post backs for pierced ears. 2" long.